Udine, 18 February 2016 – FilmForum Udine-Gorizia in association with CUC – Consulta Universitaria del Cinema and Cinéma&Cie – International Film Studies Journal are pleased to announce the winner of the Best International Film Studies Book section of the fourteenth annual Limina Prize: The Lumière Galaxy: Seven Key Words for the Cinema to Come by Francesco Casetti (Columbia University Press, 2015). This volume argues that in the age of convergence, when the various media have tended to mutate and merge, not only has cinema survived but in fact it is flourishing once again. We find cinema in theaters, but also in our houses, in galleries and museums, on modes of transportation or in waiting rooms, on our mobile devices and online. The Seven Key Words proposed by the author help us to comprehend the ways in which cinema has opened up to new horizons, while nonetheless keeping its own distinct identity. The Prize for Best International Film Studies Book is awarded by Editorial Board of the prestigious academic journal Cinéma & Cie. International Film Studies Journal, which is composed of world-renown international film and media scholars. The prize-giving ceremony took place in Gorizia at FilmForum 2016, the XXIII Udine International Film Studies Conference/XIV MAGIS International Film Studies Spring School. «Contemporary cinema’s uncertain identity is the starting point of The Lumière Galaxy: Seven Keywords for the Cinema to Come (New York: Columbia University Press, 2015) by Francesco Casetti. By telling two anecdotes, Casetti introduces the reader to basic but paramount questions, echoing André Bazin’s pivotal query: what, when, and where is cinema today? Or, in a more encompassing way: how is cinema today, as Casetti pays great attention to cinematic practices rather than essentialist surveys…». 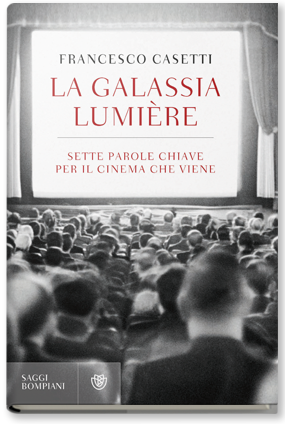 The title of Francesco Casetti’s book – The Lumière Galaxy: seven key words for the cinema to come – is at the same time brilliant and deliberately misleading; indeed, though referring to McLuhan’s The Gutenberg Galaxy, it differs from it on at least three relevant points. Second, McLuhan argues that ‘With [the] recognition of curved space in 1905 the Gutenberg galaxy was officially dissolved’ (253). Casetti’s central thesis about cinema in the digital era is exactly the opposite: the forms of cinema experience tend to survive after the end of cinema as a technological and factual apparatus, and they tend to endure even in the very different circumstances of audiovisual consumption characterizing the present condition; indeed, cultural forms bend disparate technologies and settings to their own expectations and needs, thus producing experiential forms that, despite their differences from the past, can still be targeted as ‘cinema’. A third point of opposition between McLuhan and Casetti regards the structure of the book. Indeed, McLuhan designs his work as ‘a mosaic pattern of perception and observation’ (265), composed by a number of short chapters; on the contrary, Casetti arranges his discussion around seven chapters, each corresponding to a keyword: relocation, relics/icons, assemblage, expansion, hypertopia, display, performance. Beyond the paratactic succession of the seven issues, it is useful to introduce a distinction: while most of the chapters follow a descriptive-interpretative approach, two of them (assemblage and performance) adopt a more strictly theoretical orientation. We will set them apart in our presentation. Ruggero Eugeni (2015) ‘The Lumière Galaxy: seven key words for the cinema to come’, New Review of Film and Television Studies, 13:4, 443-447, DOI: 10.1080/17400309.2015.1093282. A disclosure is in order. The author of The Lumière Galaxy – Italian-born, Connecticut-based film studies professor Francesco Casetti – teaches in my department, and has been a key mentor figure over the years, one under whom I have learnt and with whom I have taught, so this relationship will innately colour the review that follows. 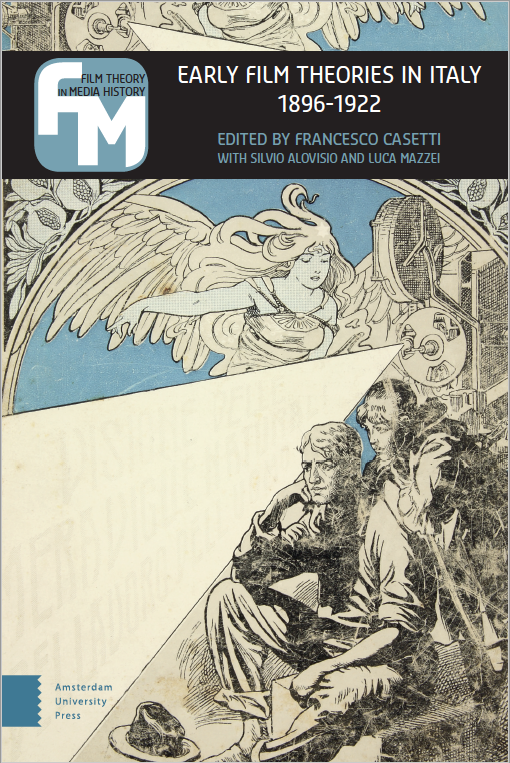 Furthermore, I am penning this article at Francesco’s own behest: with the book hot off the printing presses, he insisted that I air my feelings about it. The reason for his doing so, I suspect, is that on the many occasions in which we have conversed about the cinema, about its present fortunes, its metamorphoses and its novelties, we have often had diametrically opposed attitudes towards these phenomena. Whereas Francesco celebrates the rise of new media practices, revelling in the latest YouTube mash-up or digital reworking of a classic, or extolling the possibilities opened up by the advent of smartphones, tablets, laptops and various other gadgets, I tend to be much more sceptical about such tendencies, if not downright hostile. Conversely, those works I hold up as paragons of contemporary cinema – whether they represent the last breaths of the old guard of film aesthetics, such as Hard to be a God (2014) or The Turin Horse (2011), or the flowering of new, but still resolutely cinematic, visual practices, think Leviathan (2012) or Story of My Death (2013) – are for the most part no longer the focus of my elder’s attentions. Indeed, I am regularly given a good-natured chiding for my stubborn attachment to a certain classical mode of spectatorship – watching films in continuity, in a darkened movie-theatre and even, although this particularly possibility is rapidly vanishing, on celluloid – which is seen as little more than a nostalgic yearning for a technologically and socially outmoded past. 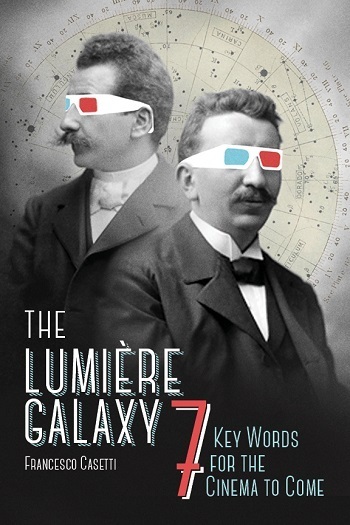 In connection with his new book, The Lumière Galaxy. Seven Key Words for the Cinema to Come, Francesco Casetti (Yale University) will discuss new modes of existence in cinema through the convergence of media.”Relocated cinema” fulfills the galaxy of possibilities embedded in the medium from its inception. This talk is part of “Sites of Cinema. “Sites of Cinema” takes a new approach to the question of cinema at the moment when cinema is said to be in decline, even in some accounts said to be facing its “death.” At this moment, when are focused on a convergence of moving image forms into a single delivery system we take up divergence over convergence, a divergence. Alternative to André Bazin’s question “What is Cinema?” “Sites of Cinema” will ask “Where is Cinema?” Where has it been seen to be and where will it be spaced in the future—as theoretical construct, national culture, material object, artistic work, social practice and space of exhibition. Cinema has moved and is still moving—from theatrical stages to museum walls, in and on buildings as well as within historical nations and regions of the world. “Sites of Cinema” signals our interest in site-specific cinemas plural but also cinema as a total apparatus—the “cinema of the mind” for the mass audience.